Wisconsin Chimney Technicians has been serving Dousman and the surrounding area for over 30 years. 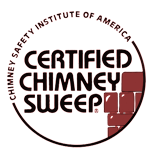 Our chimney sweeps are CSIA certified and go through continual training to offer the best Dousman chimney services including cleaning, repair and more. 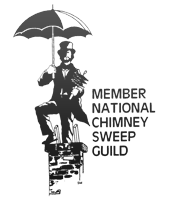 We are the industry leading chimney sweeps and our friendly, experienced staff is here to ensure your chimney is ready to take on the long Wisconsin winter. Whether your chimney is in need of an annual inspection or requires extensive repairs, our expert Dousman area chimney sweeps have the knowledge and experience to keep your chimney in tip top shape. Wisconsin winters take a toll on your chimney. The longest, coldest season causes the chimney to work overtime resulting in the natural buildup of soot, creosote and debris. If not addressed, this buildup is a can become a fire hazard and damage the inner workings of your chimney. A yearly cleaning is the best way to take care of harmful chimney buildup and prevent potential problems. Schedule your annual cleaning with our Dousman chimney sweeps to ensure your chimney runs smoothly and your home remains comfortable all winter long. Wisconsin Chimney Technicians offers a vast range of the best chimney repair services in Dousman. Whether your chimney has large mortar breaks or minor chips, any damage should be taken care of right away to keep it from becoming worse. Repairing even the smallest damage is the best way to ensure your chimney has a long and healthy life. Our expert Dousman chimney repair specialists provide full services from minor touch ups to full chimney replacements. With years of experience, superior attention to detail and the highest quality workmanship, our chimney repair technicians will ensure your chimney is restored to new condition. A properly working interior is extremely important to the entire chimney structure and operation. Without an annual cleaning, the interior of your chimney sustains a harmful buildup of residue which prevents the chimney from venting properly. The chimney interior may require heavy repairs and a possible replacement to keep harmful gases and smoke from being vented into your home. Rather than tearing down the entire chimney, our Dousman chimney repair experts will install a high quality aluminum insert. This insert restores the inner workings of your chimney, providing correct chimney ventilation and preventing potential issues. If you suspect your chimney interior is in need of repairs, let our Dousman chimney repair specialists install an affordable, long lasting solution for a top chimney performance. Prepare your home to take on the long Wisconsin winter with an annual inspection from our Dousman chimney technicians. An annual inspection is important to ensure your chimney is free of potential issues and performing efficiently. Our friendly, knowledgeable chimney inspection specialists begin the inspection by reviewing and investigating every aspect of the chimney from flue through masonry. After inspection, the technician will discuss any findings and provide advice on the next steps for any current or potential issues. 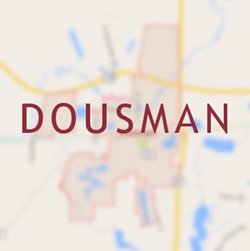 Call our Dousman chimney inspectors to ensure your chimney is delivering optimal performance. Our Dousman chimney sweeps’ expertise doesn’t end with chimneys. We provide full dryer vent cleaning services to keep your dryer in top condition. The lint filter on your dryer doesn’t catch all lint produced and it can clog the dryer’s vent. A clogged dryer vent causes a number of issues including potential fire hazards, poor performance and wasted energy. Don’t let a clogged dryer vent cause a fire or provoke worse problems for your dryer. Let our expert Dousman dryer vent cleaning technicians restore your dryer to optimum working order. Contact the expert Dousman chimney sweeps at Wisconsin Chimney Technicians to learn more about our top cleaning, repair, rebuilding, and inspection services.